The Equality Act 2010 legally protects people from discrimination in both employment and accessing goods/services. The Equality Act is a legal framework to protect the rights of individuals and advance equality of opportunity for all. According to the Equality Act, you are disabled if you have a physical or mental impairment that has a ‘substantial’ and ‘long-term’ negative effect on your ability to accomplish normal daily activities. The Equality Act does not apply in Northern Ireland. The definition of ‘substantial’ is ‘more than minor’ and ‘long-term’ is defined as 12 months or more. Another category of disability is ‘progressive condition’, one that worsens over time. 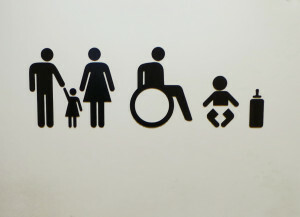 People with progressive conditions can be classed as disabled. Can occur where a workplace rule, practice or procedure is applied to all employees but disadvantages those who are disabled. The Equality Act means employers must make reasonable adjustments to ensure disabled employees and workers (contract workers, trainees, apprentices and business partners) are not disadvantaged when doing their jobs. A disabled employee or job applicant claiming indirect discrimination must show how they have been personally disadvantaged, as well as how the discrimination has or would disadvantage other disabled employees or job candidates. When unwanted conduct related to a person’s disability causes a distressing, humiliating or offensive environment for that person. Where someone is treated ‘unfavourably’ because of something linked to their disability, but not because of the disability itself. The disabled person claiming this type of discrimination does not have to compare their treatment to how someone else is treated. An employer failing to make ‘reasonable adjustments’ for a disabled job applicant or employee is one of the most common types of disability discrimination. If adjustments are ‘reasonable’, an employer must make them to ensure its workplace or practices do not disadvantage a disabled job applicant or employee already with the organisation. This involves making reasonable adjustments at every stage of employment from installing ramps to facilitate access, to offering flexible working hours. Aspects of the Equality Act relating to disability and making reasonable adjustments are covered in all of our training to empower you to be disability confident. There’s more information about employers’ obligations and how to meet them on the Equality and Human Rights Commission website. Aspects of the Equality Act relating to disability and making reasonable adjustments is covered in all of our training to empower you to be disability confident. GOV.uk website has more information on the Equality Act . If you’ve been discriminated again, find out what action you can take.